The quality of the paint you buy for the interior walls of your home does matter. Purchase premium acrylic paint in Hendersonville, NC, to get the greatest value for your home improvement dollars. Our store is the place to come for the best paint brands. We recommend Ultra-Premium Stainblocking Kilz® Tribute Paint and Primer in One for beauty and performance. Manufacturing improvements make this brand of interior paint the most technologically advanced produced by the Kilz company, which is known for quality and durability. We understand that when you paint your home, you want to enjoy the beautiful results for a number of years. With this brand, you can. Come into our store and speak with one of our professionals about new paint for your home. The purpose of a primer is to fill in the pores of the area being painted, so the paint has an easier time adhering and can last longer and look smoother. With Ultra-Premium Stainblocking Kilz® Tribute Paint and Primer in One, painting is a one-step process--not two. It saves you time while providing a superior finish. This paint also has stain-blocking properties. Stains are one of the primary reasons walls are repainted. Since Kilz paint resists stains, it makes it simple to wipe them away. For homeowners with children and pets, this brand is ideal. You do not need to worry about sticky fingers or wet noses marring the way your walls look. Another important feature of this paint brand is humidity resistance. Mold and mildew can be problems in wet areas of the home, such as the kitchen, bathroom, and basement. It also is a serious consideration for homes in areas where the humidity is high. The mold-resistant properties of this paint free you from worrying about this health hazard growing in your home. Under the Kilz brand, our store provides you with flat-finish paint and eggshell finish paint. Our flat paint is beautiful, durable, and scrubbable. It resists staining, fading, and peeling; making it long-lasting and low-maintenance, which is what you are looking for in interior paint. Why not choose the go-with-everything eggshell finish for a light touch with a hint of color to brighten any room of your home? Since this paint is made with advanced acrylic technology, you need not fear using a light color. 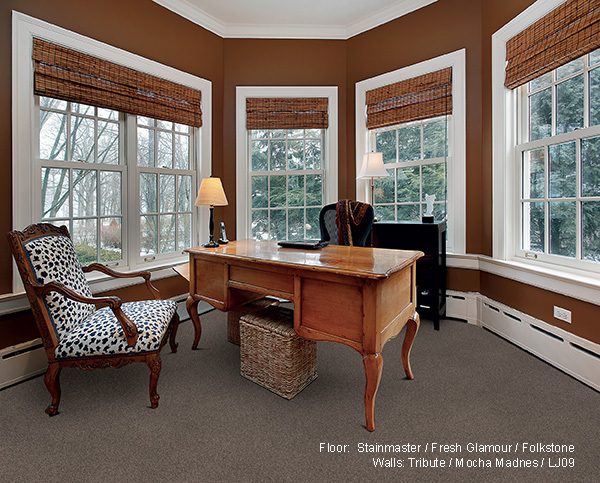 The high-performance finish hides imperfections and allows you to wipe away stains easily. Come into our store to find Kilz brand paint for your home remodel. Contact us today Hendersonville, North Carolina, to browse our selection of Kilz brand paint. We proudly serve the communities of Asheville, South Asheville, Brevard, and Trion.